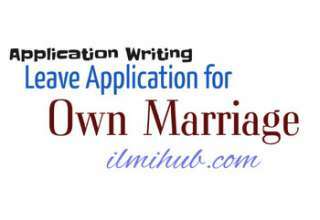 Here you can find an application for Brother Marriage. 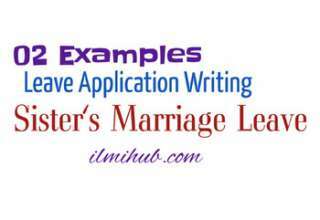 These are 2 examples to learn how to write an application for marriage leave on your brother’s wedding. 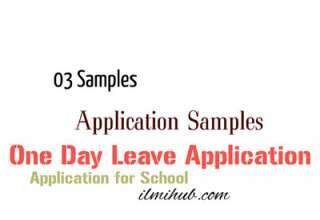 The 1st application is for Class 11 and 2nd is for Class 8. So it is Simple leave application for Marriage, School leave application for brother marriage sample for students of all classes. Subject: Application for leave on account of brother’s marriage. With due respect, it is stated that I can not attend classes for a week because my brother’s marriage is taking place next week. He is my elder brother. It is an occasion of great pleasure. I want to enjoy this occasion completely. I wish to be at home on this happy occasion. All the members of my family are waiting for me impatiently. I may lend a helping hand to my parents. We have to complete preparations for the marriage. I want to help my father in buying some necessary items. Hoping my request will be acceded to. Please grant me leave for one week. Thanking you in anticipation. Most respectfully I beg to state that the marriage of my elder brother comes off on the 15th instant. I have to do a lot of work at home. Therefore, I cannot come to school for four days. Kindly grant me leave for four days from 14-02-2017 to 17-02-2017. I shall be very thankful to you for this favour. The 2nd application example is taken from Hamdard Imtehani English Book for Class 8. You may also like an application for Fee Concession.